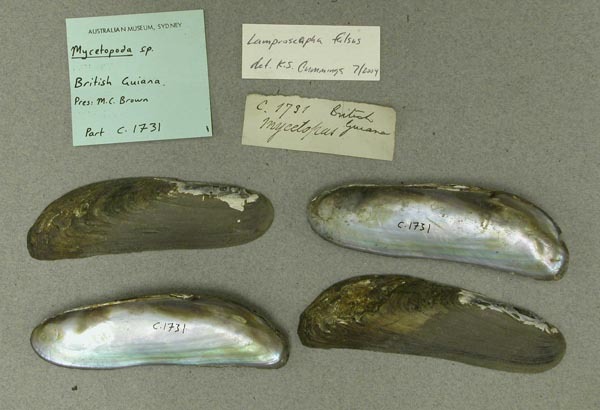 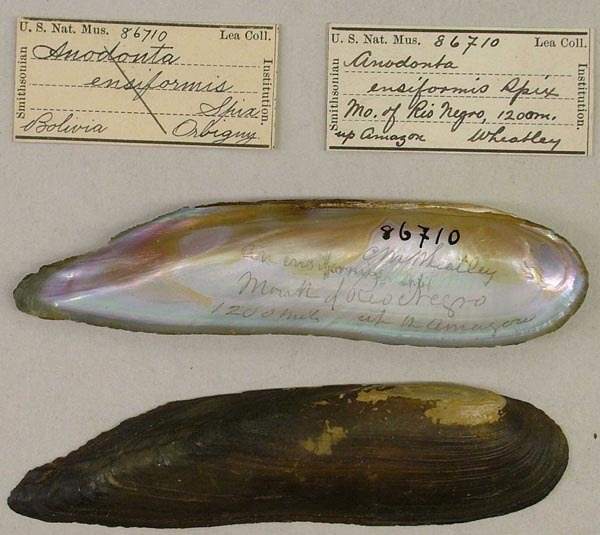 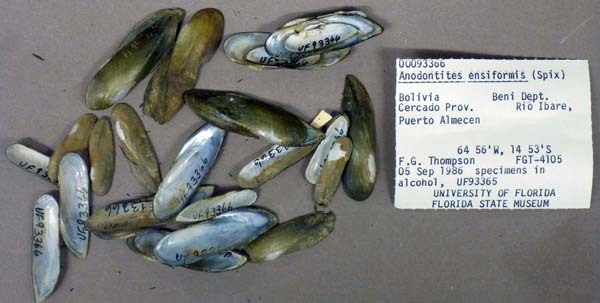 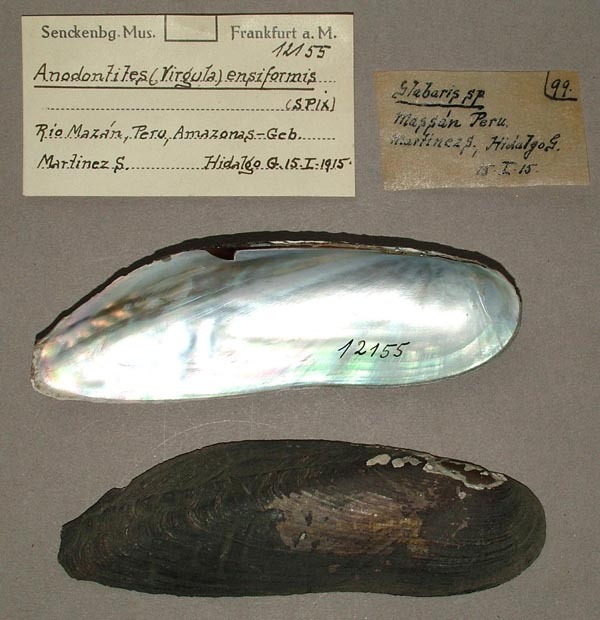 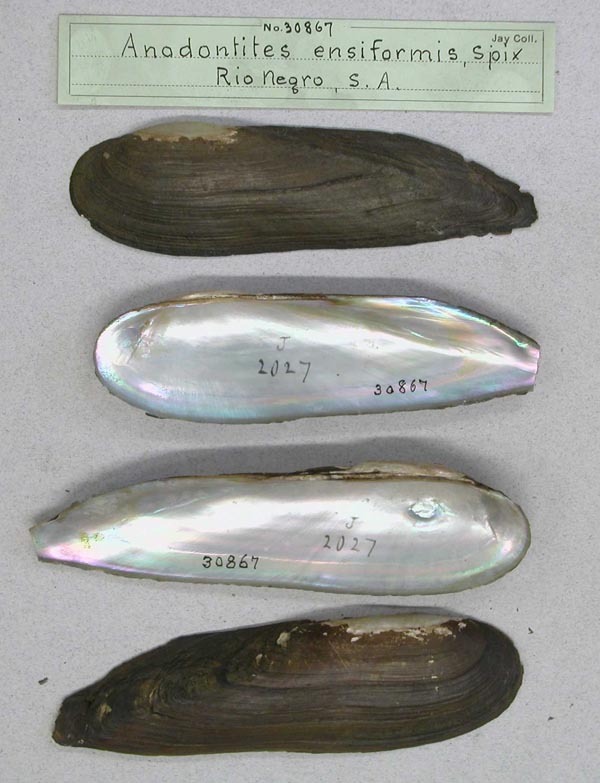 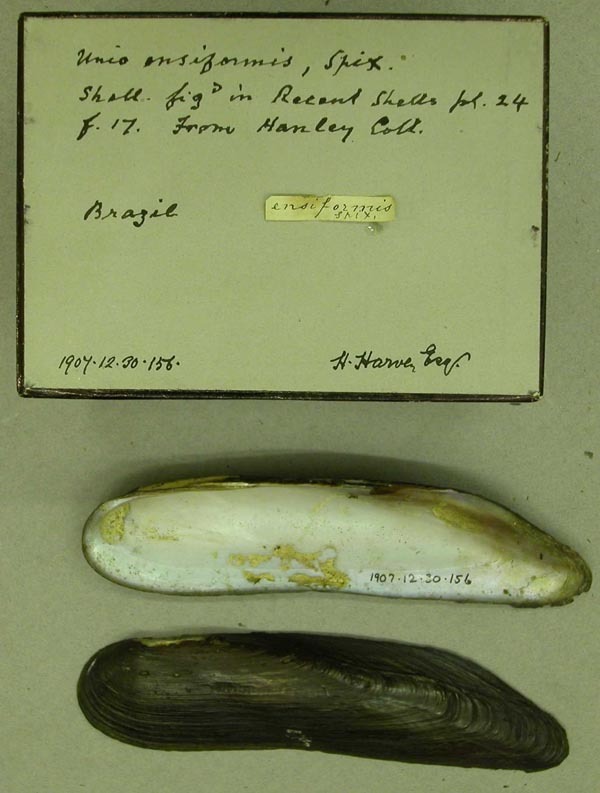 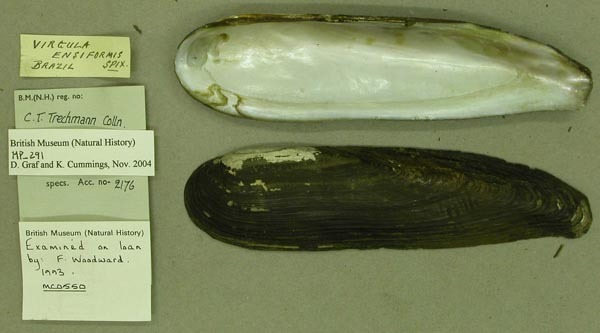 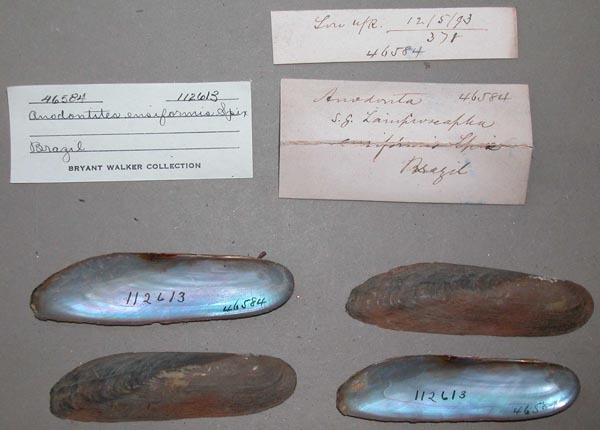 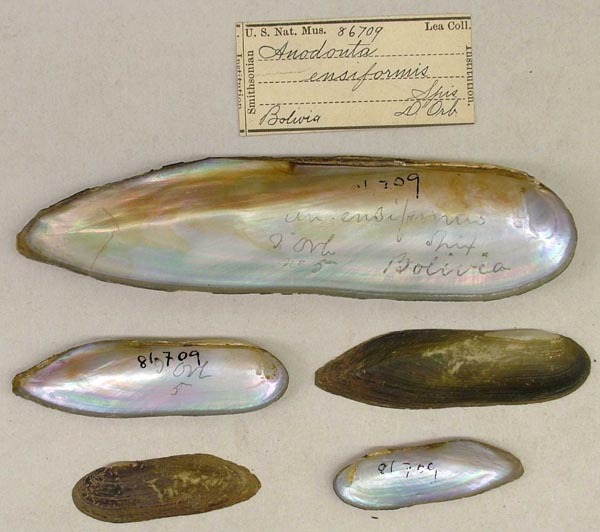 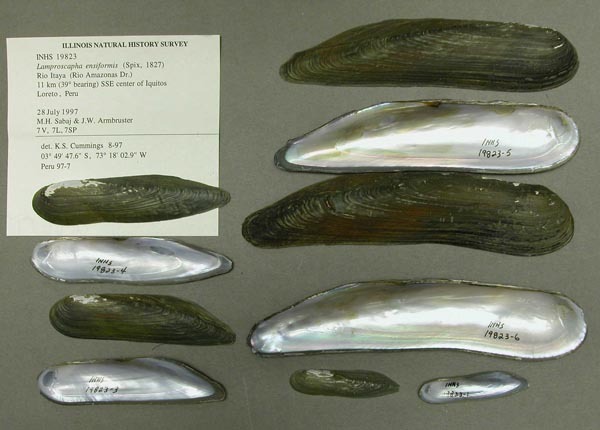 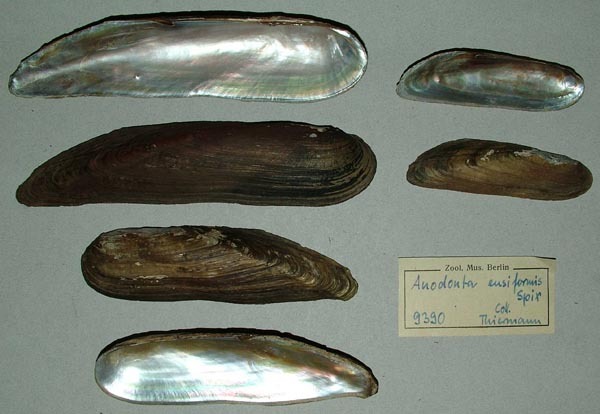 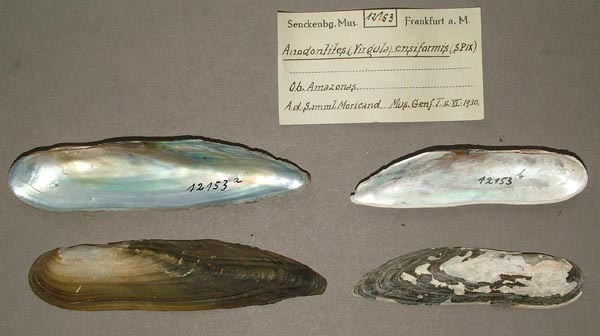 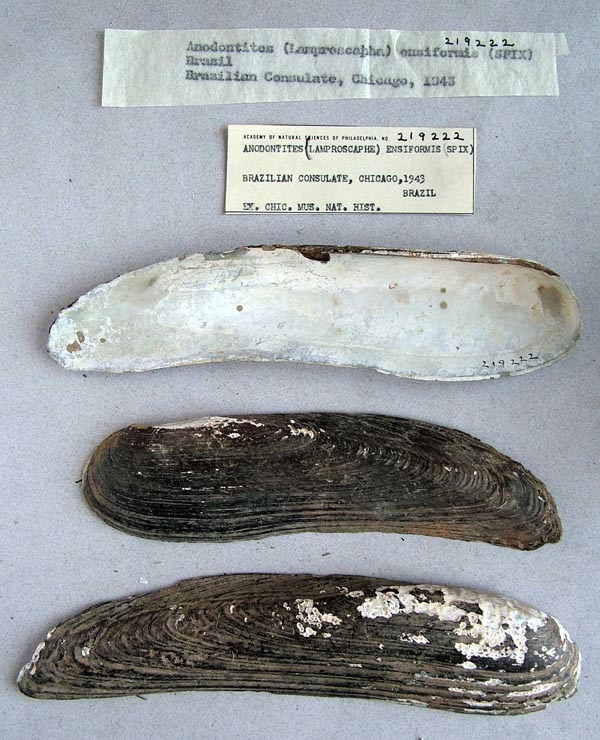 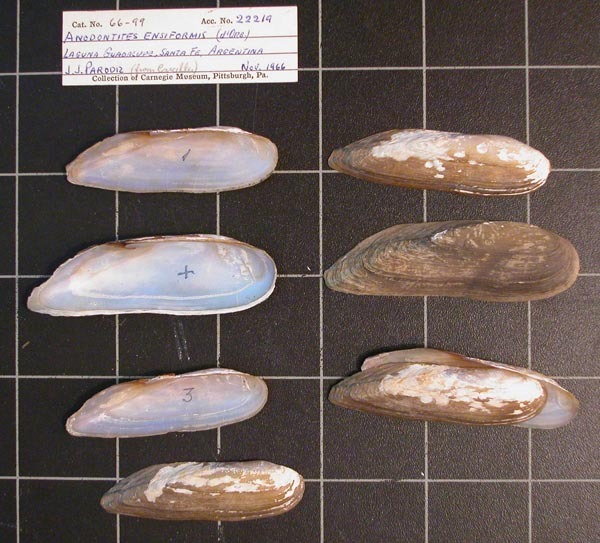 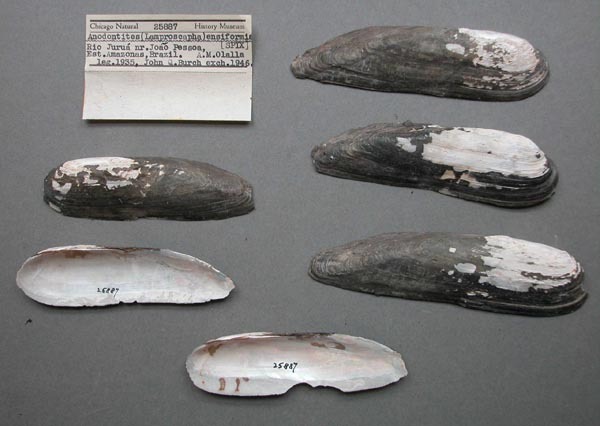 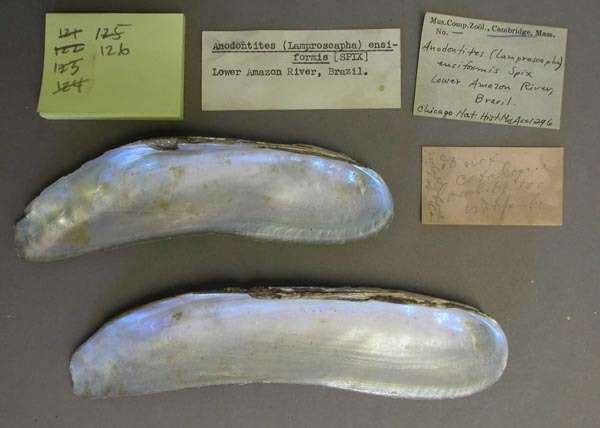 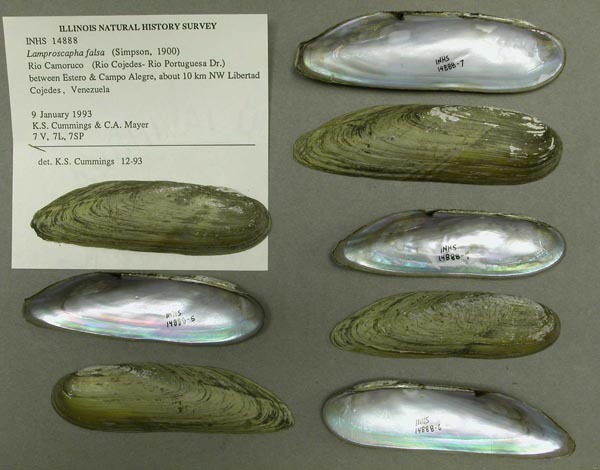 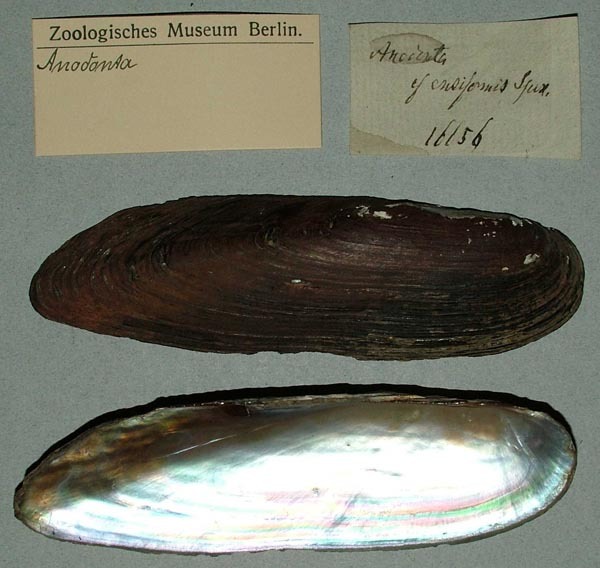 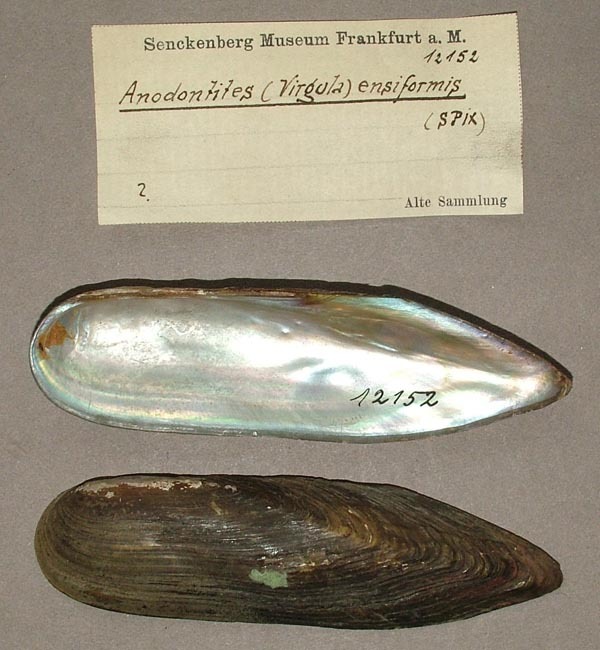 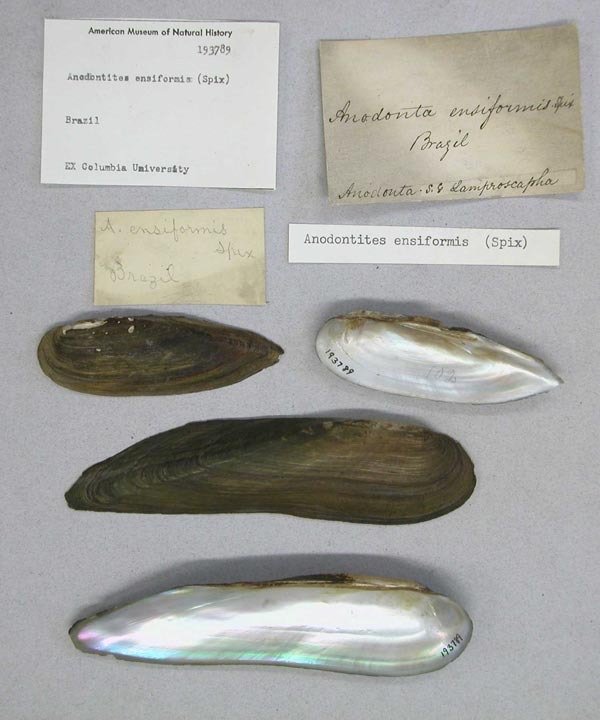 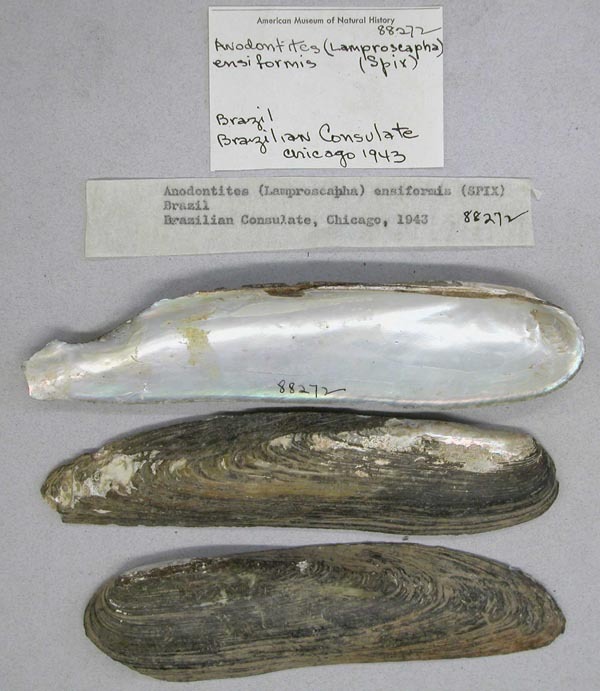 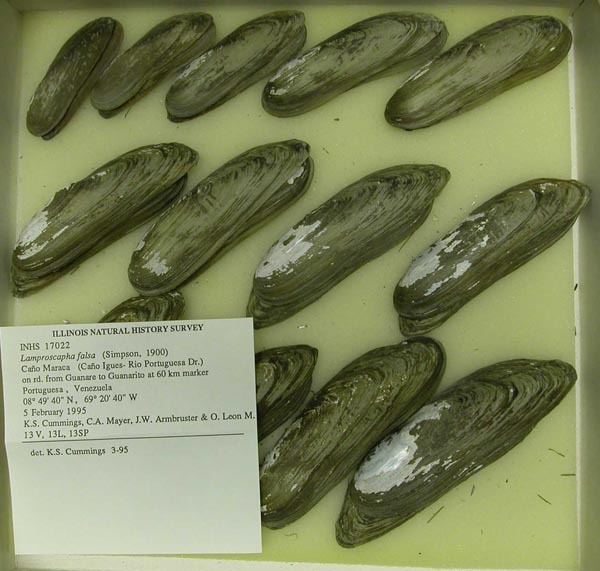 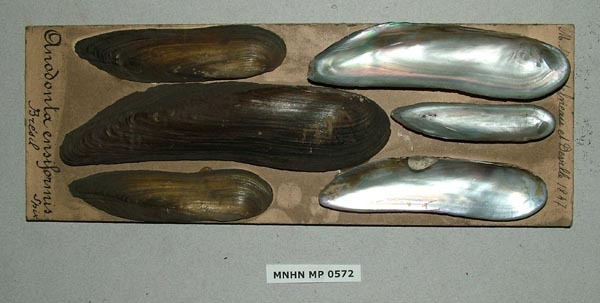 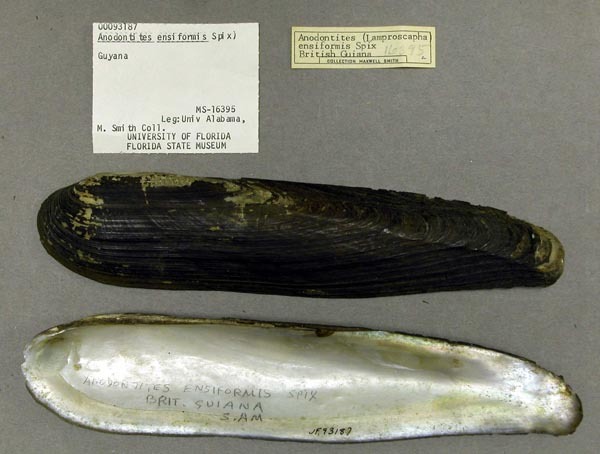 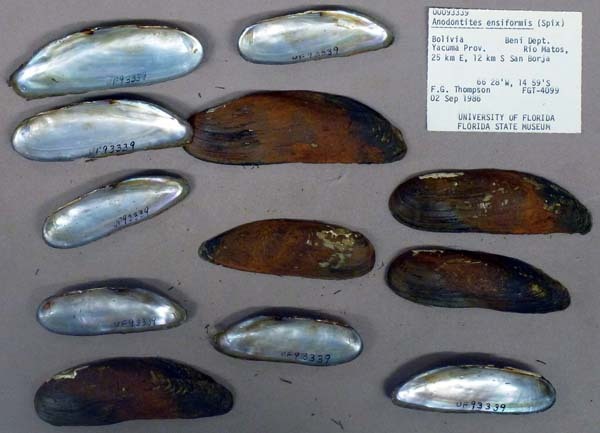 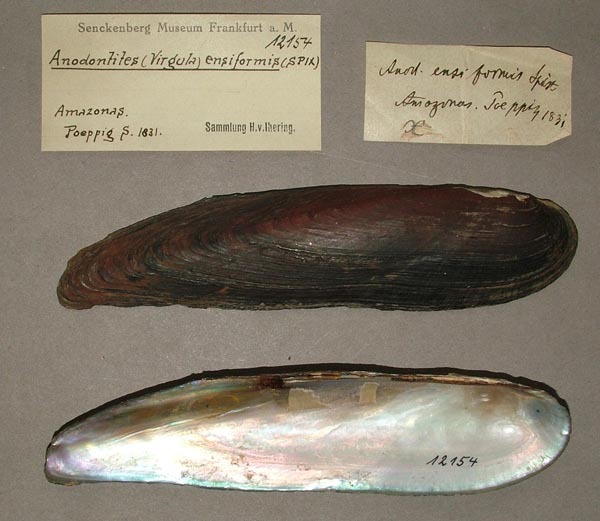 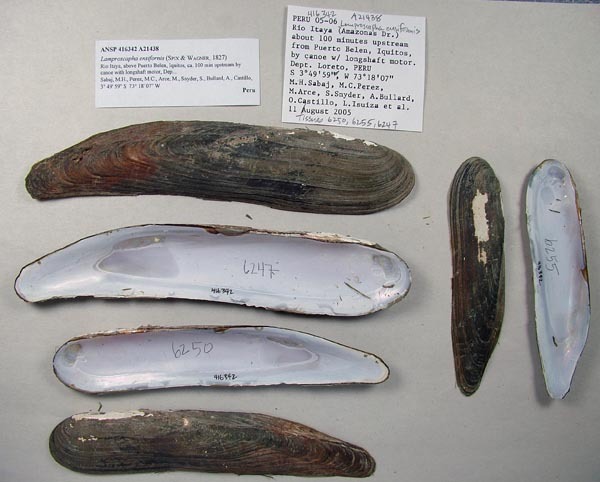 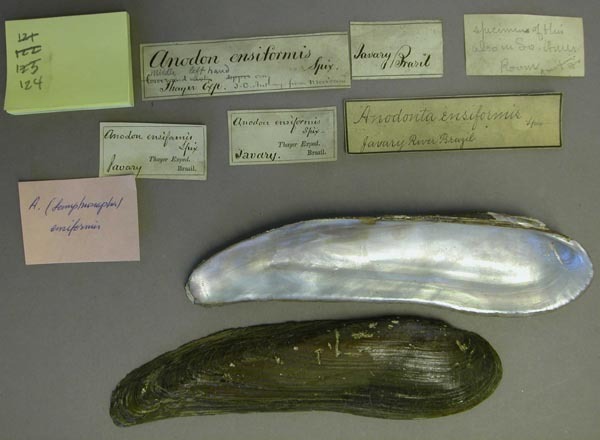 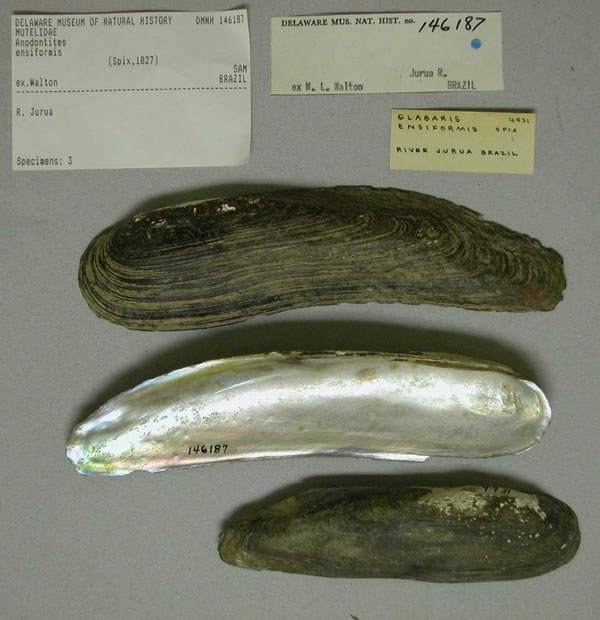 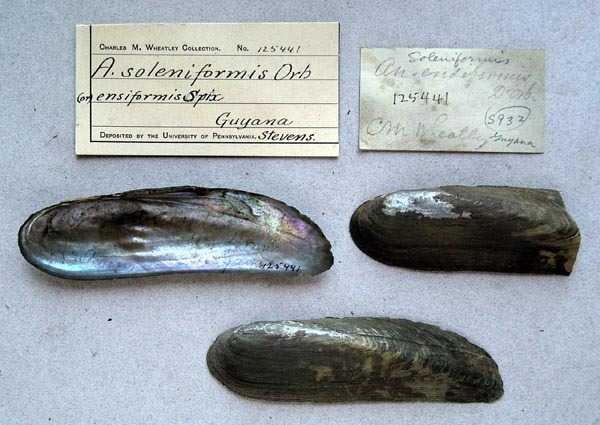 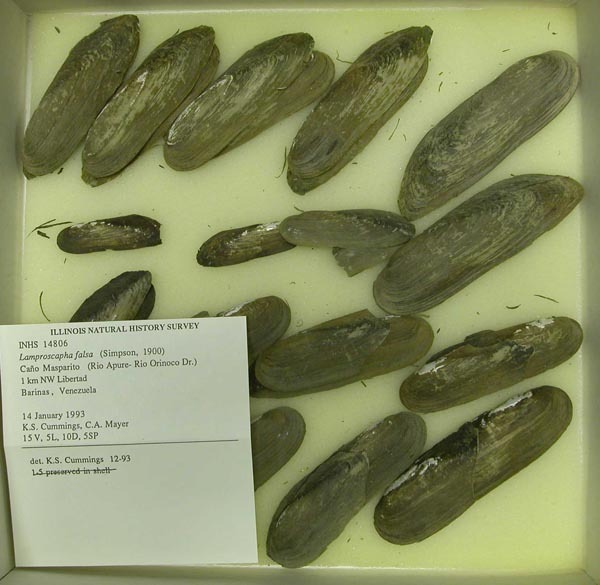 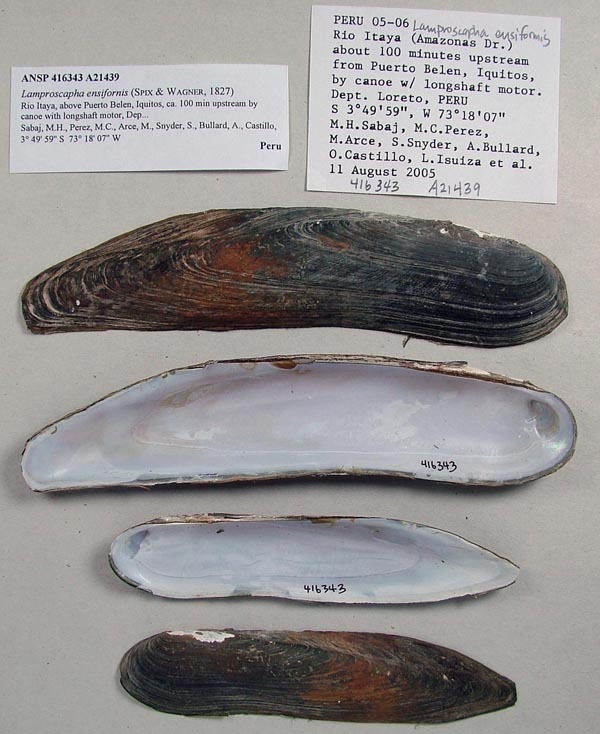 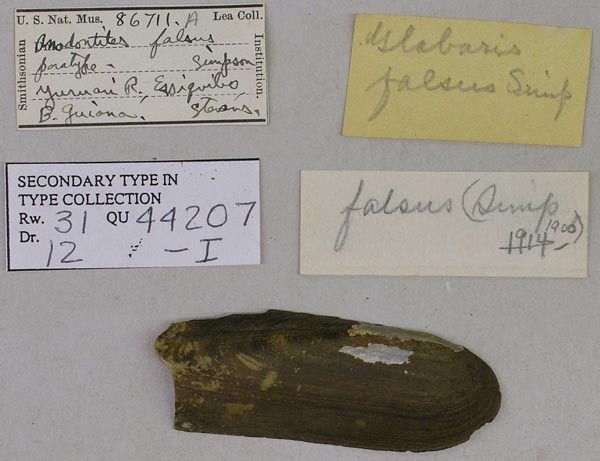 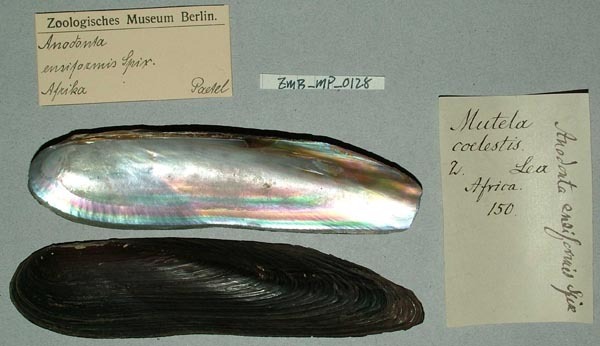 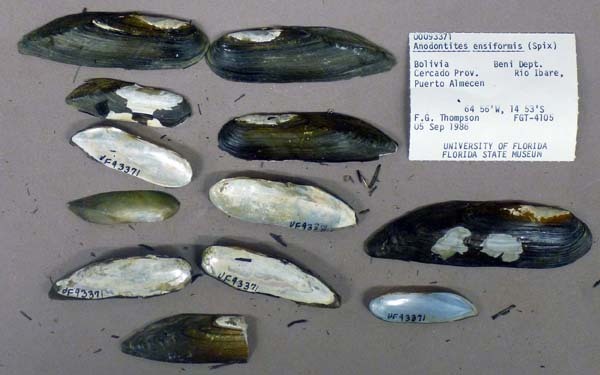 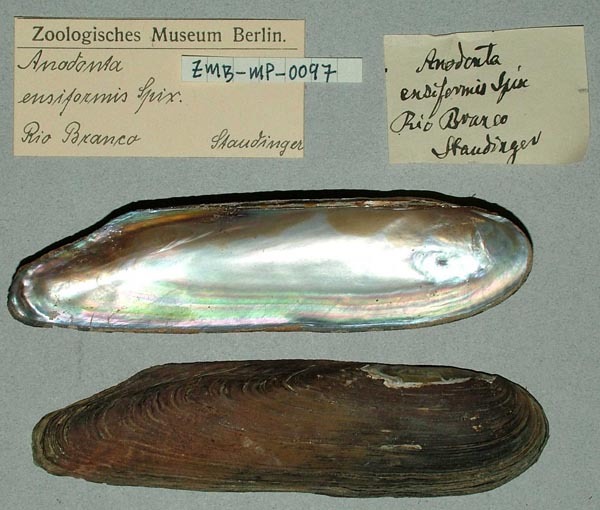 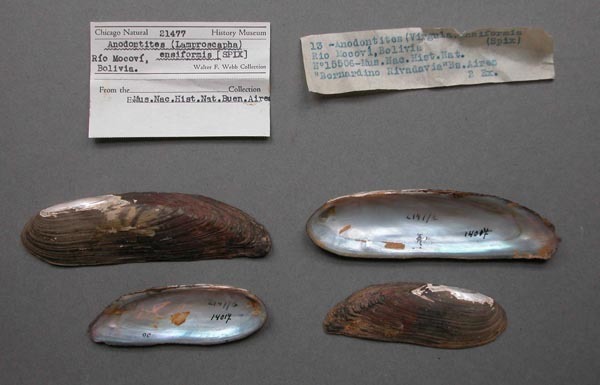 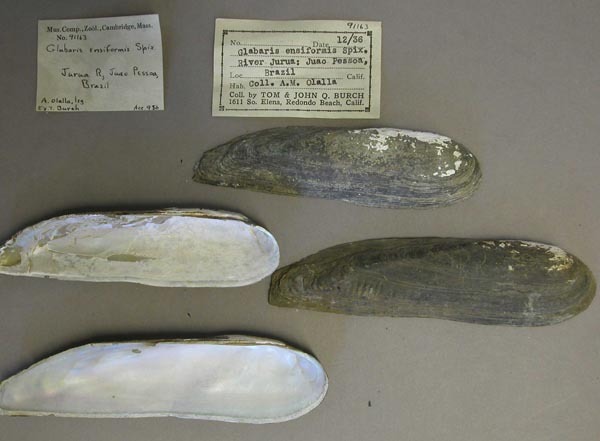 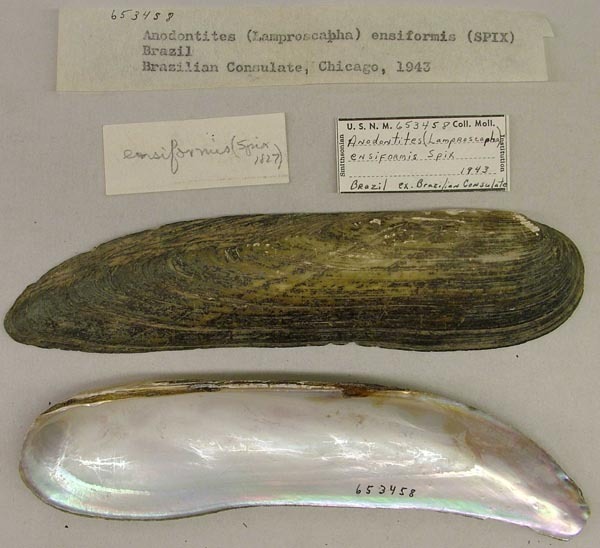 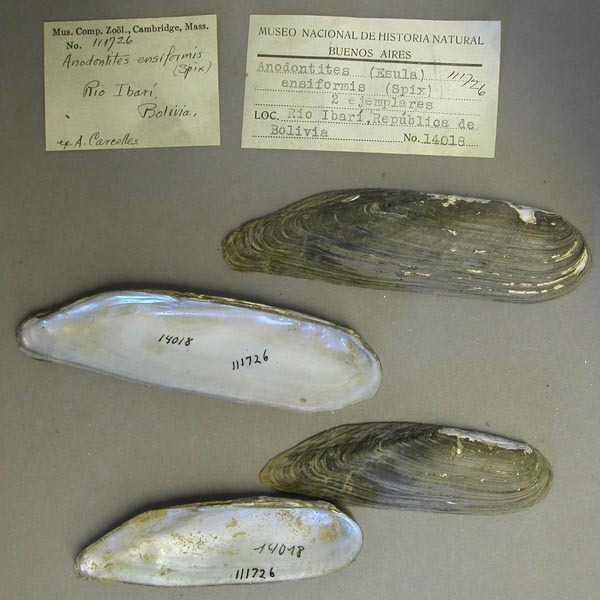 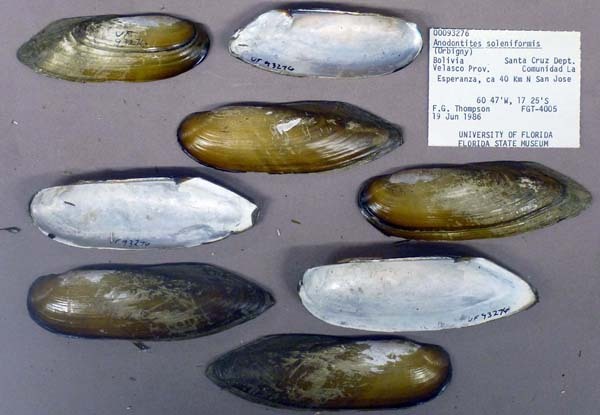 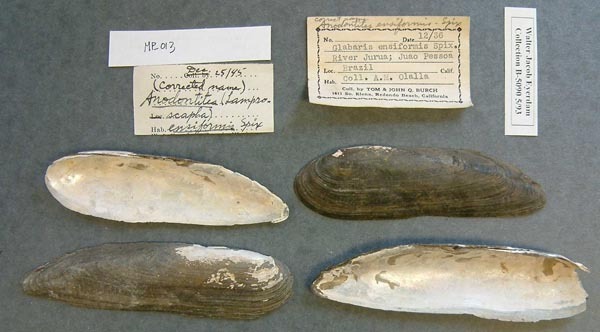 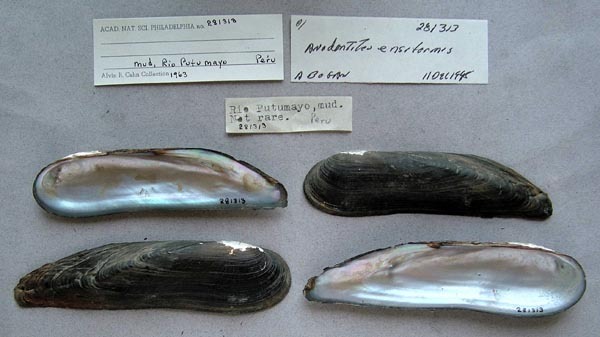 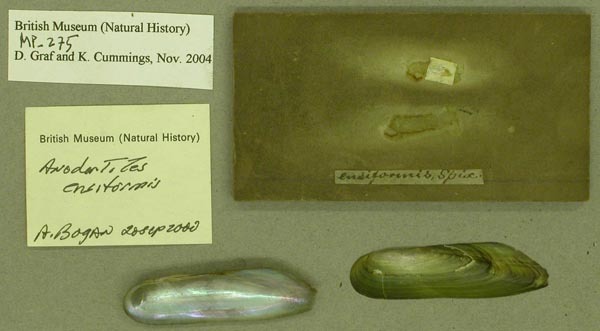 FM(U)otW(aolcb) is the web version of the MUSSEL Project Database. 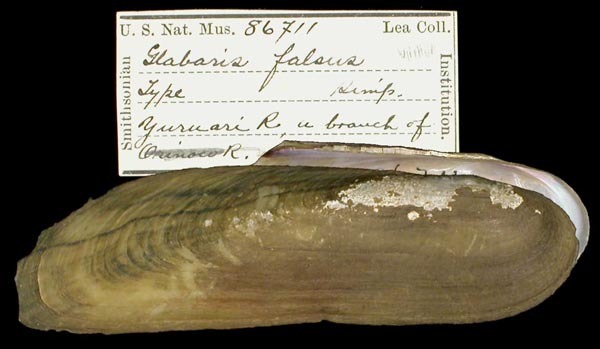 Follow the links to browse the data or use the custom Google search field. 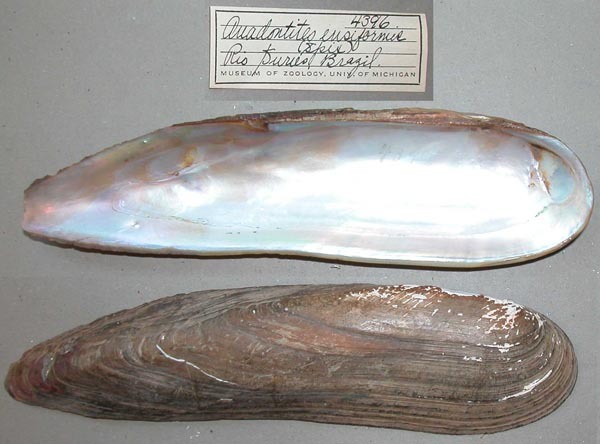 Either way, you win! 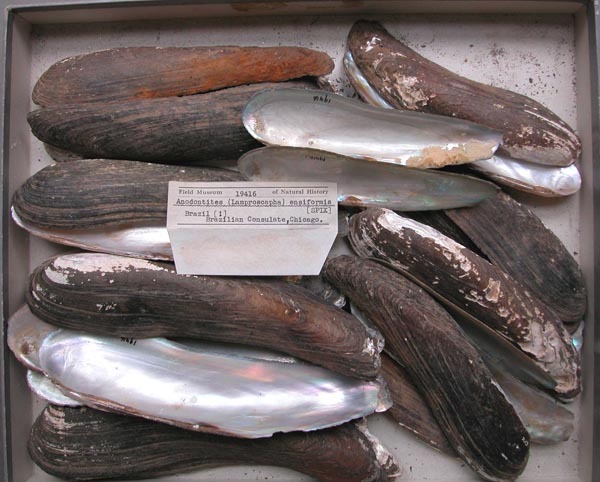 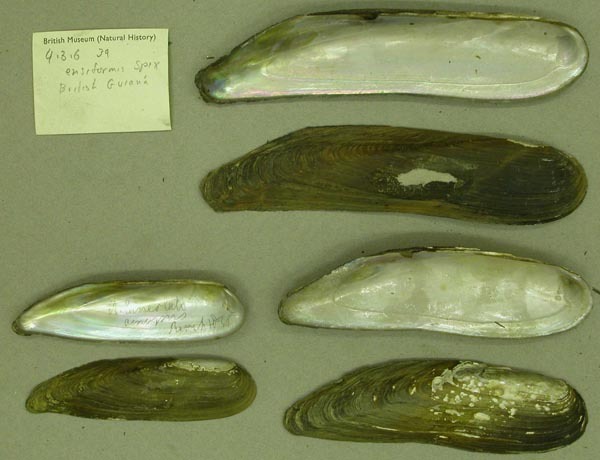 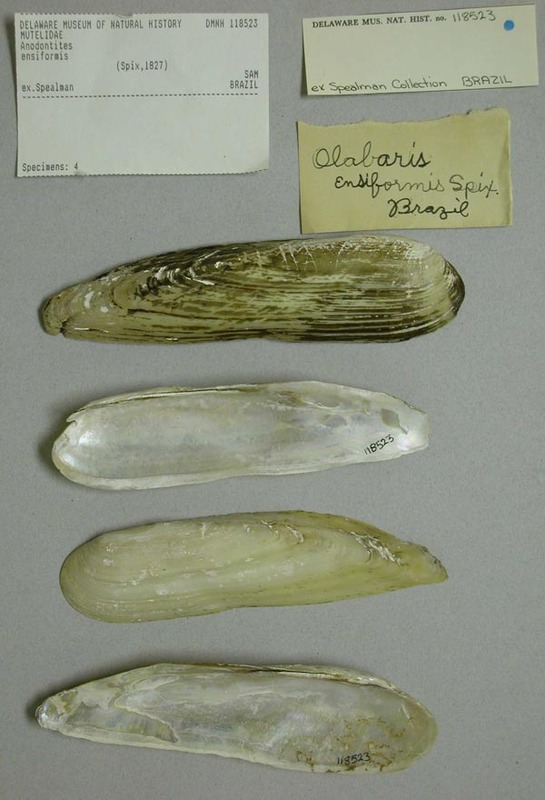 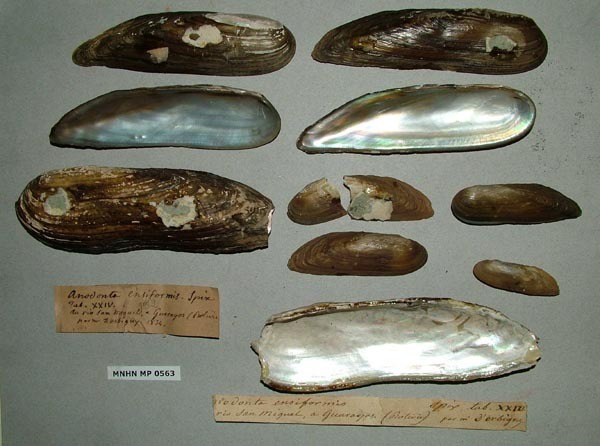 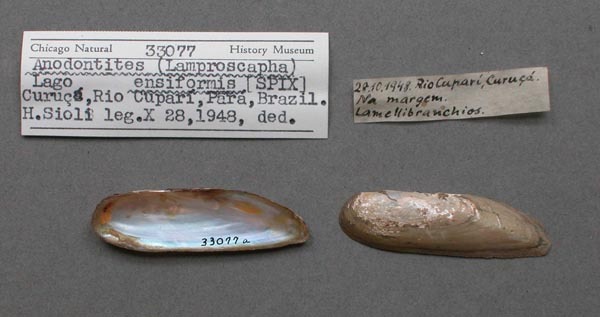 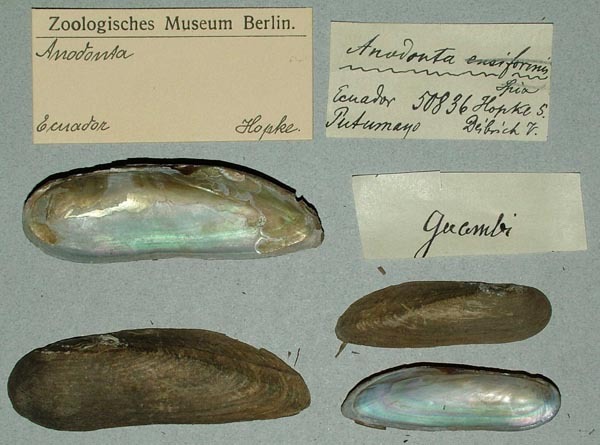 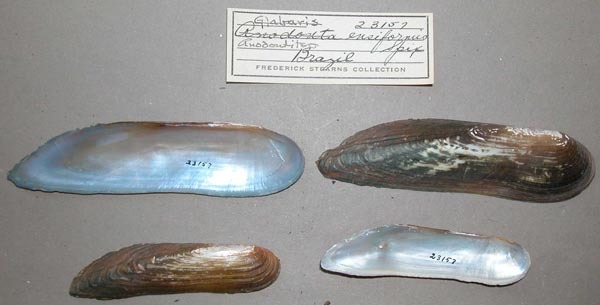 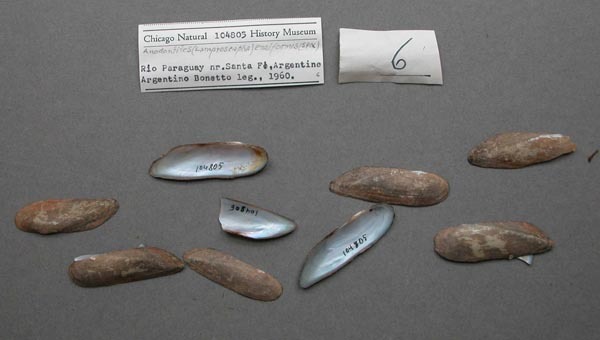 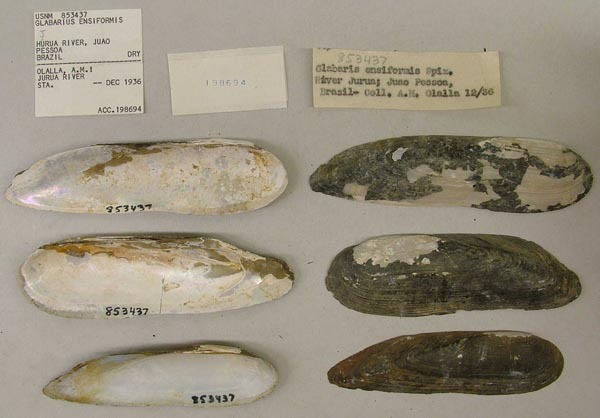 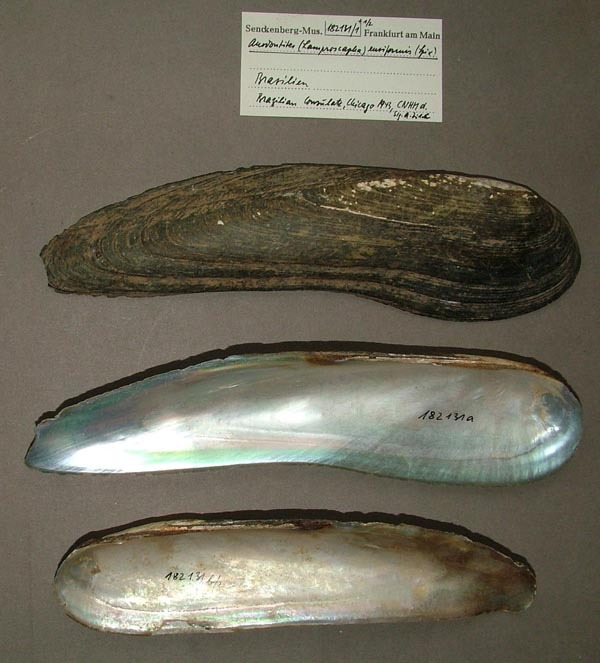 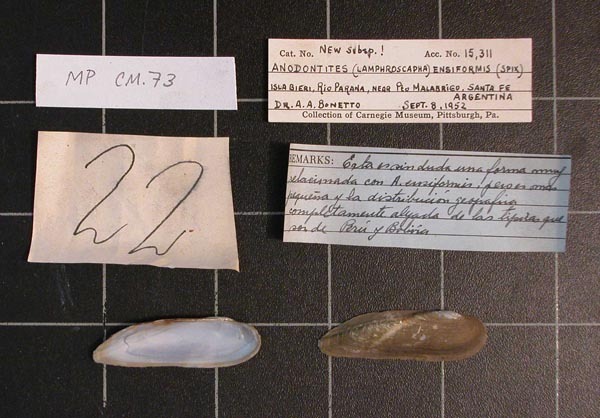 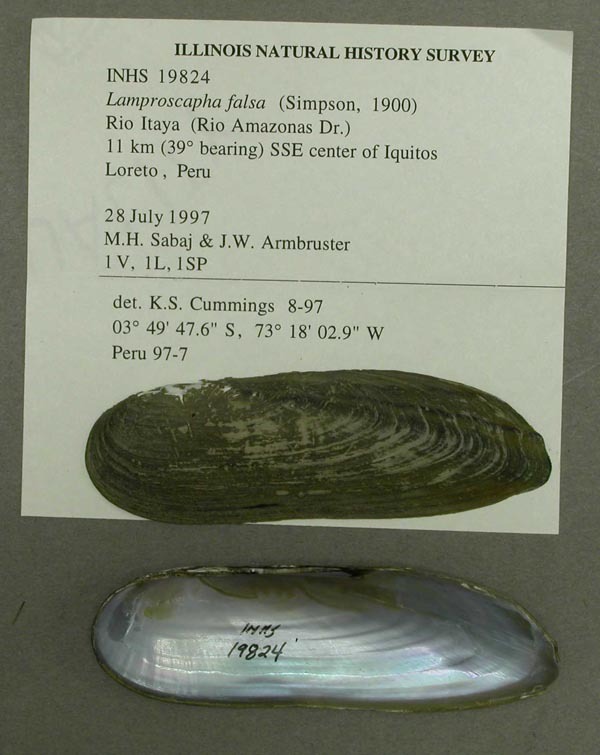 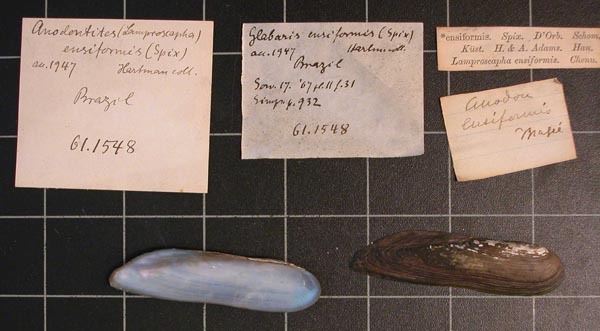 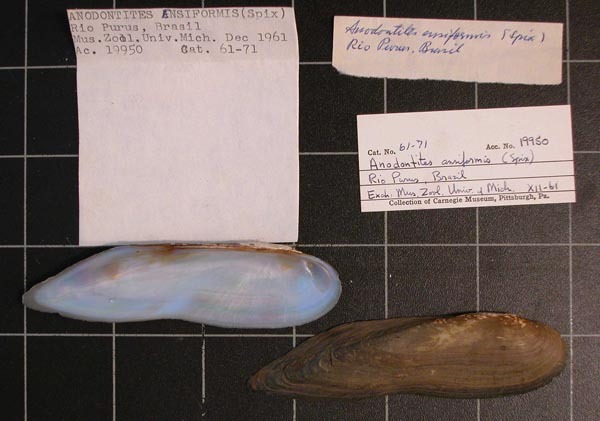 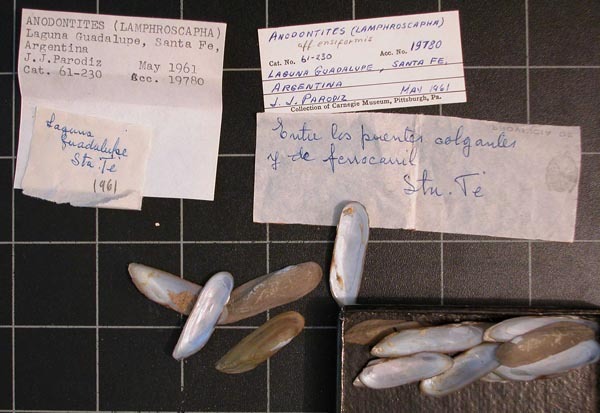 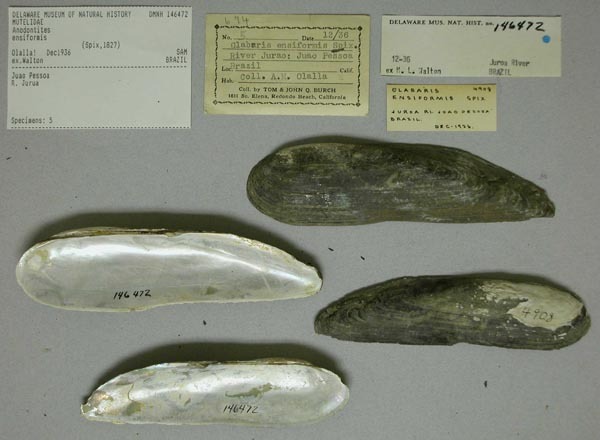 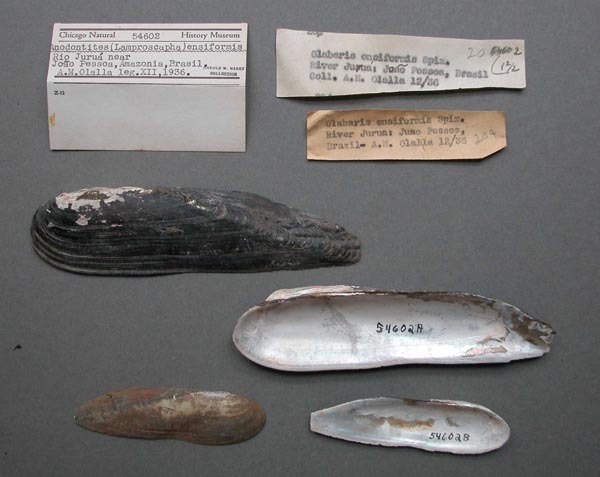 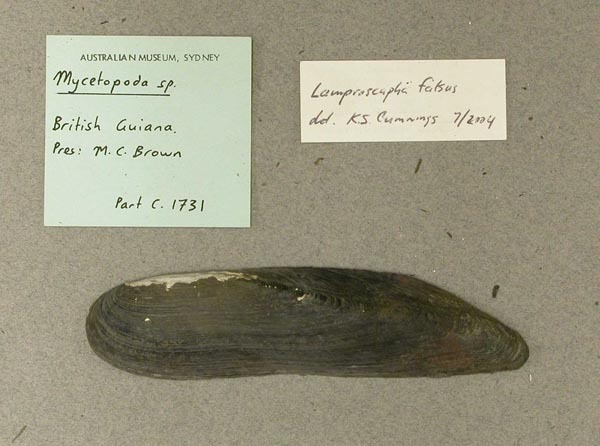 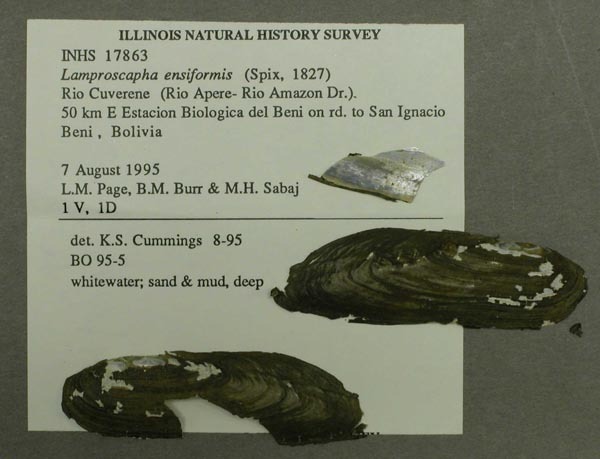 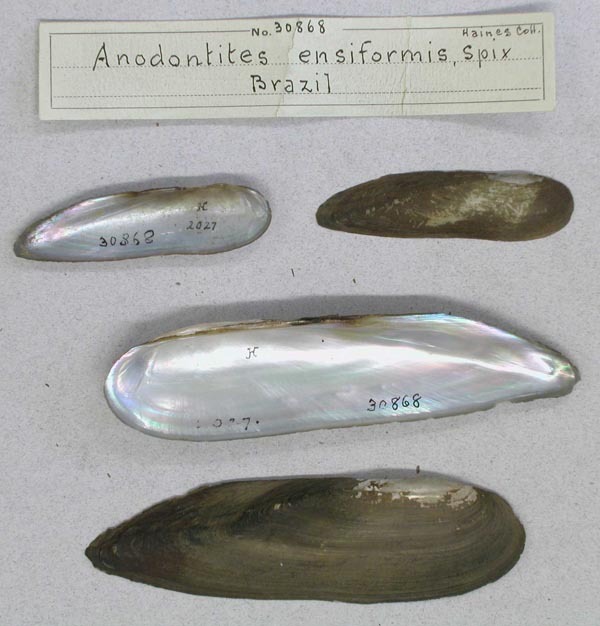 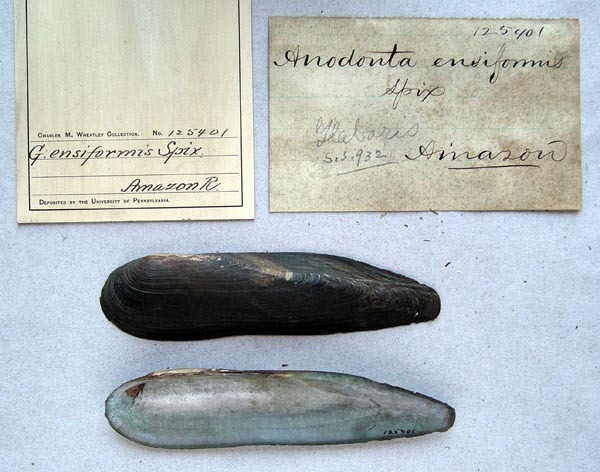 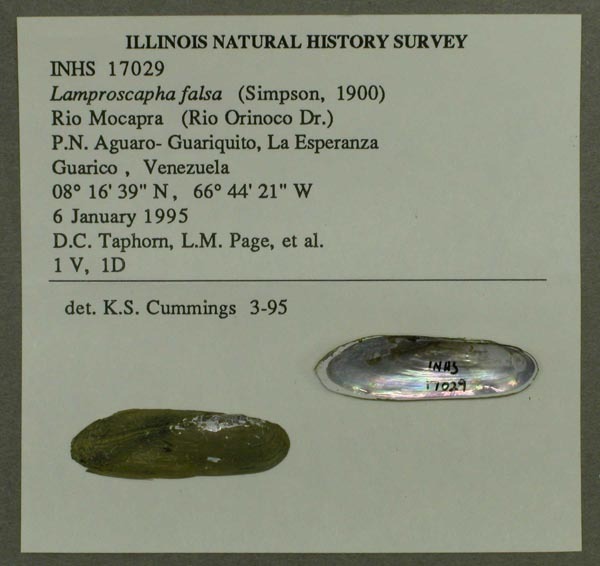 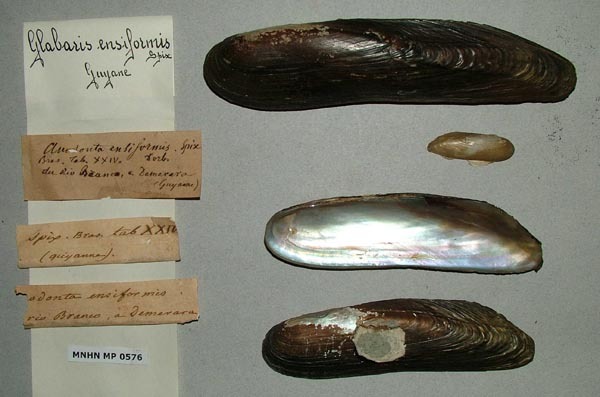 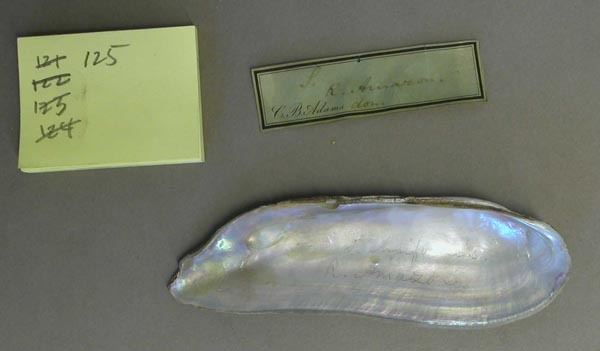 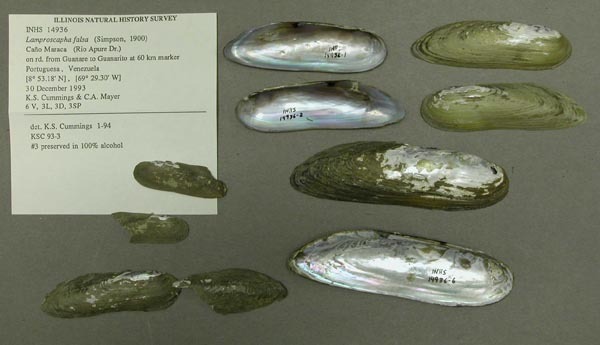 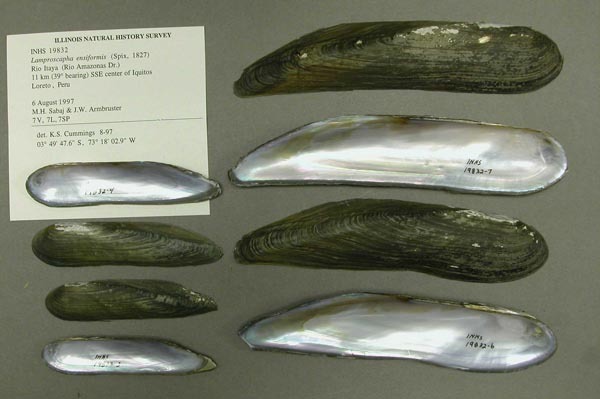 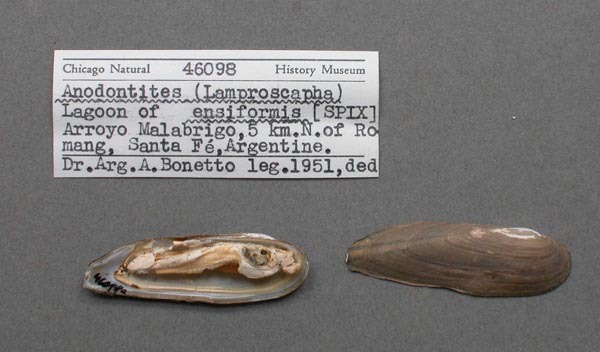 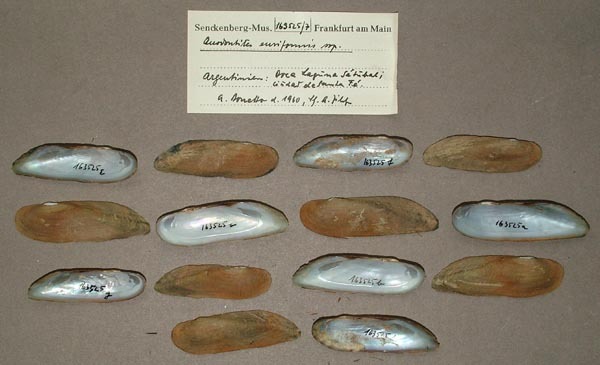 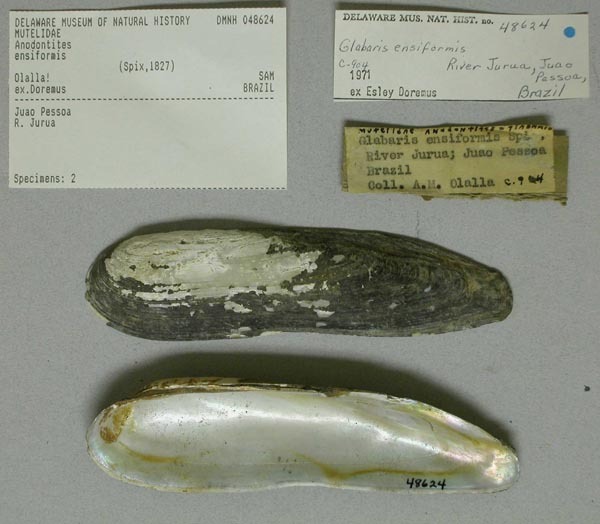 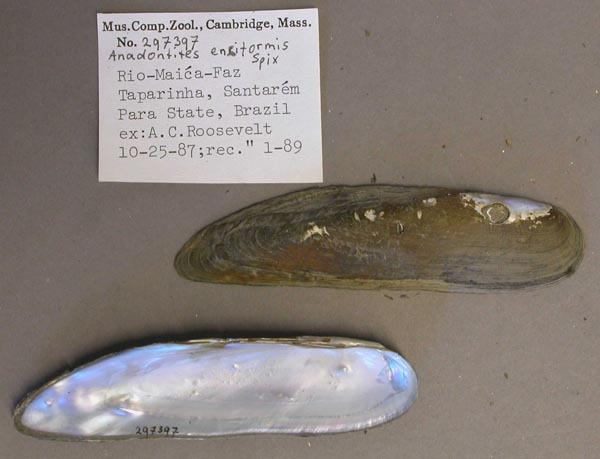 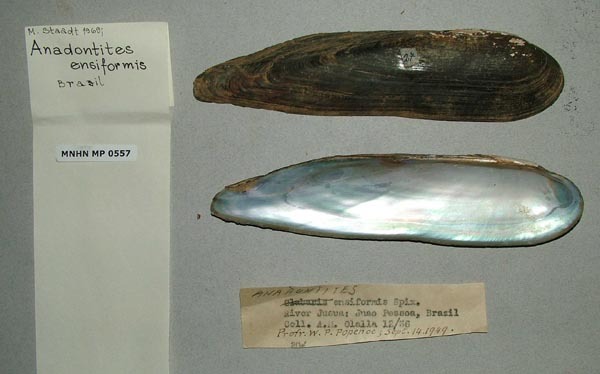 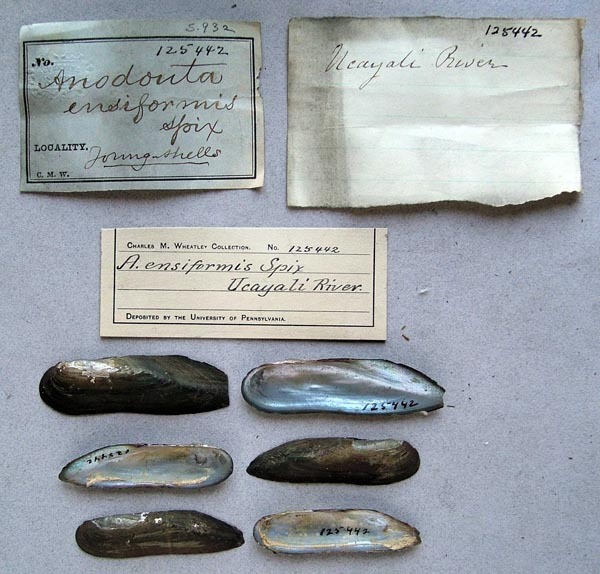 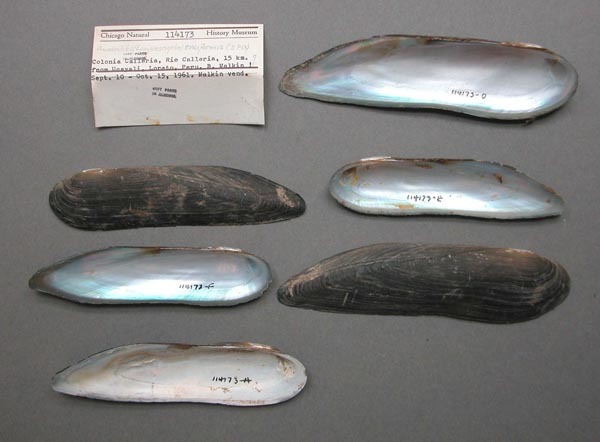 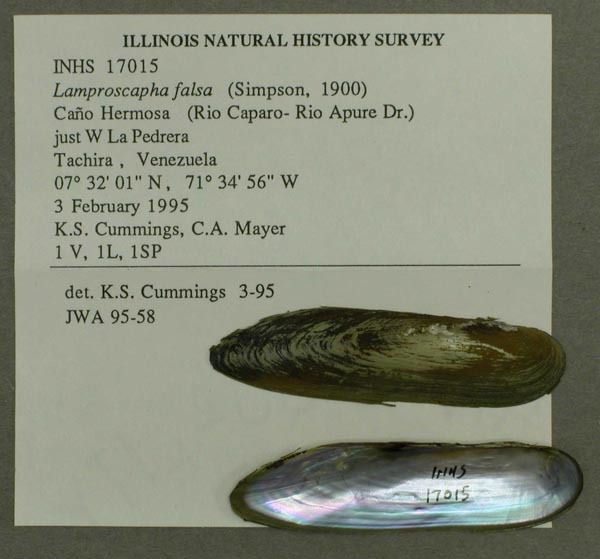 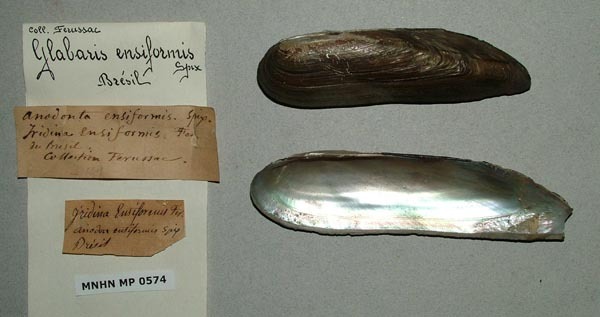 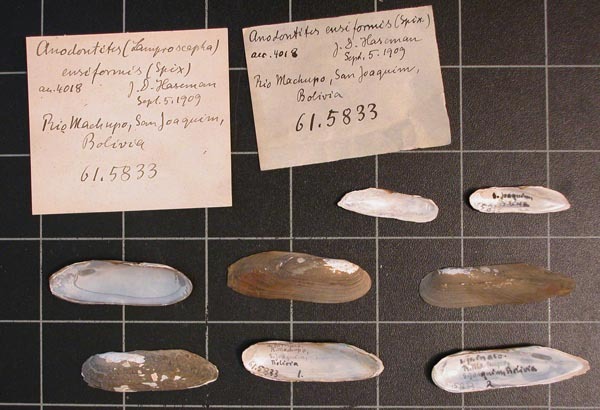 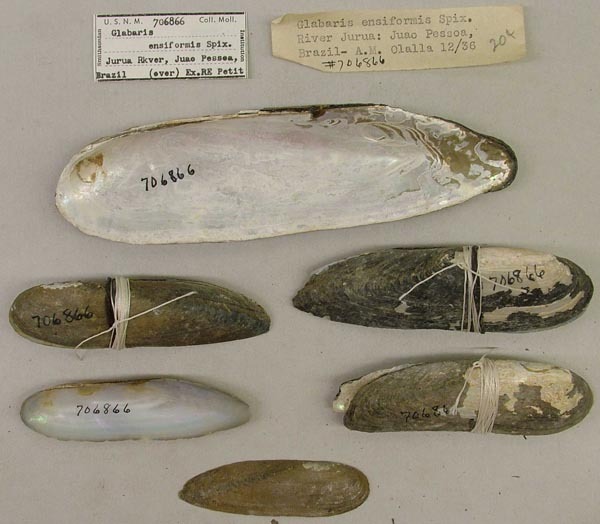 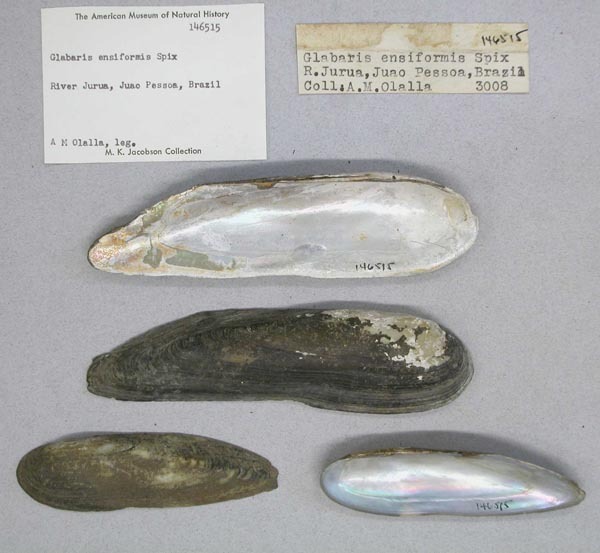 This page reports the specimens in the MUSSELpdb and provides a map if geocodes are known. 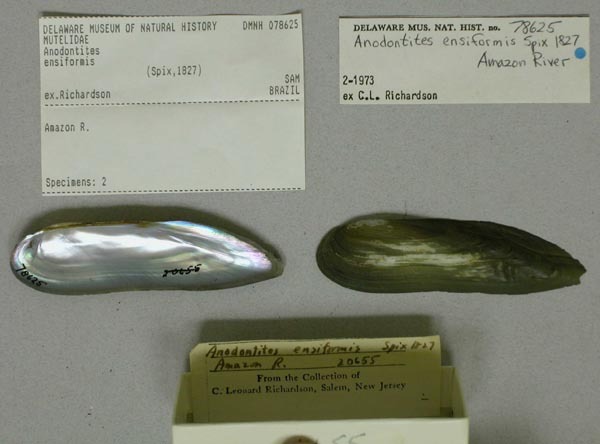 3 nominal species as synonyms. 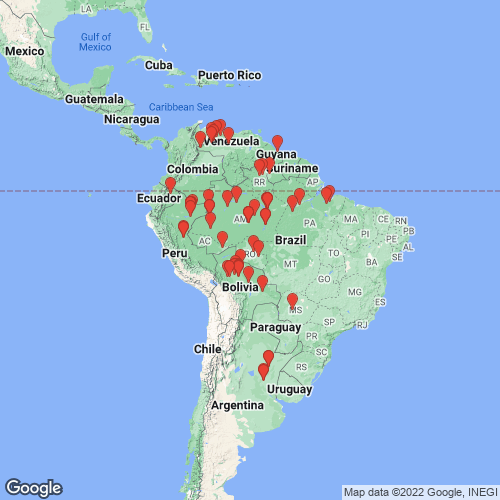 Range: Widespread in tropical South America, including the Paraná and Amazon systems. 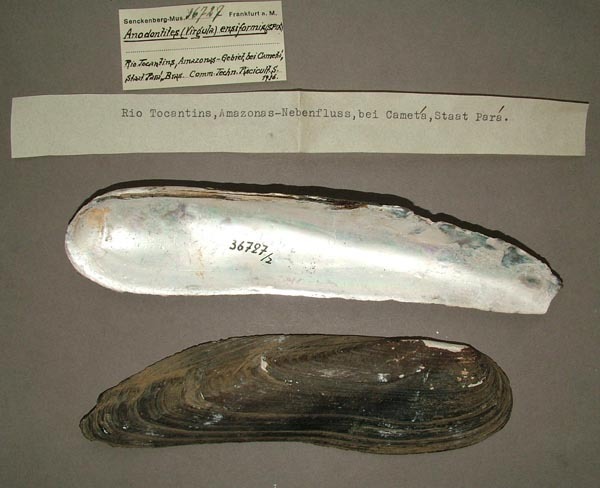 Rio Tocantins, Amazonas, Gebiet, b. Cameta, Staat Para, Bras. 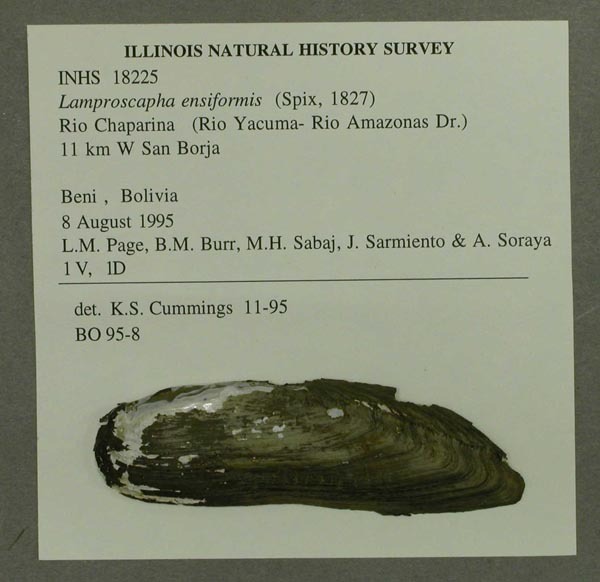 Rio Mazan, Peru, Amazonas Geb. 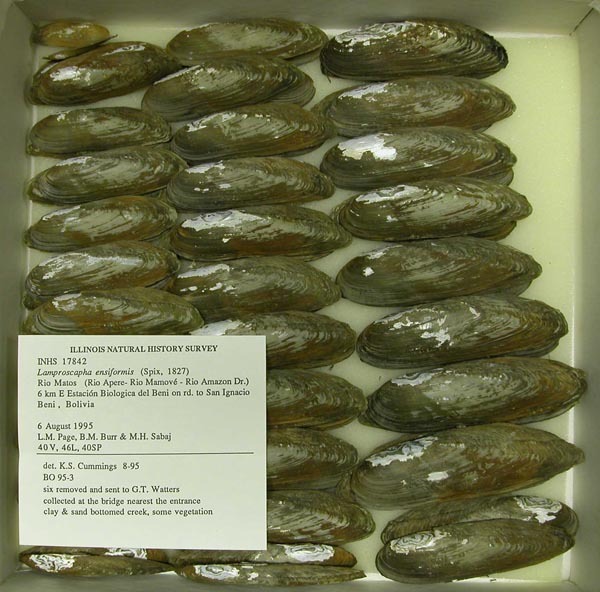 The MUSSEL Project  Home Page http://www.mussel-project.net/. 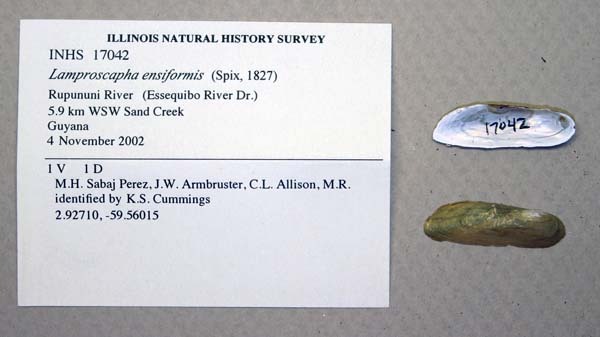 Site developed and maintained by Dan Graf & Kevin Cummings. 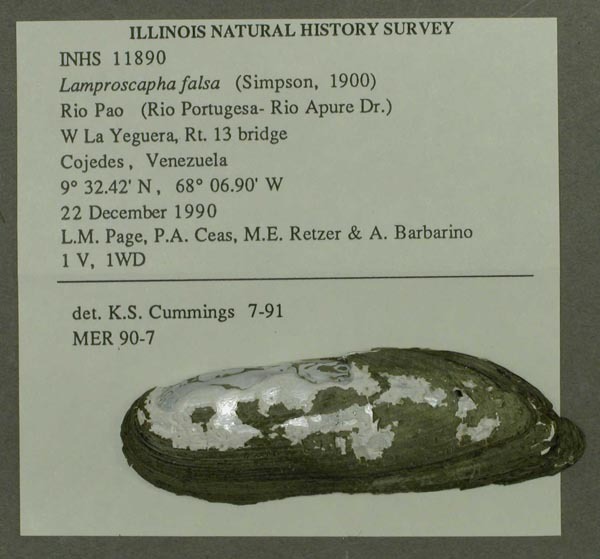 Hosted by The University of Wisconsin-Stevens Point. 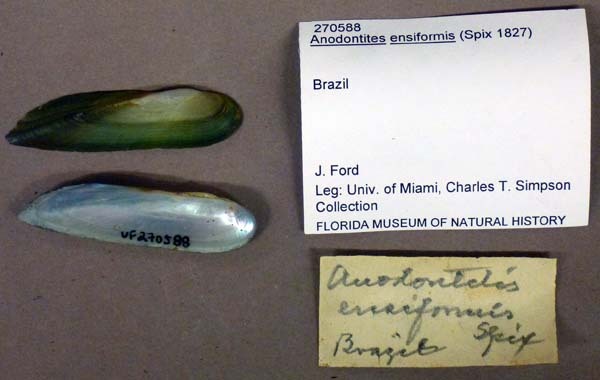 Funded by The National Science Foundation. 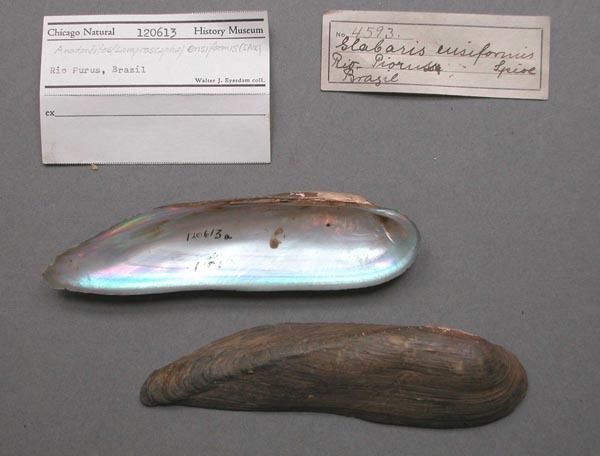 "Making the world a better place, one mollusk at a time."